The NASCAR Camping World Truck Series kicks off the penultimate NASCAR race weekend of the 2018 season Friday night with the running of the Lucas Oil 150 at ISM (formerly Phoenix International) Raceway. Six drivers head into Friday night’s race still in contention for the 2018 Truck Series championship. After the race, that group will be trimmed to four for the season-finale at Homestead-Miami Speedway. Justin Haley and Johnny Sauter already have clinched berths in the championship round, courtesy of wins in the two most recent races. Drivers vying for the final two transfer spots include Brett Moffitt, Noah Gragson, Grant Enfinger and Matt Crafton. None of those drives have previous wins at ISM Raceway. Sauter is the defending winner of the Lucas Oil 150. 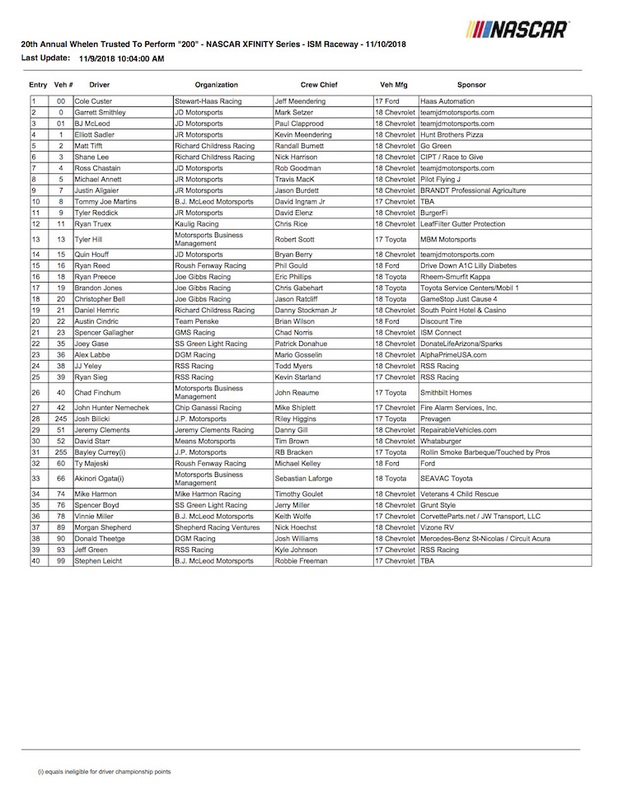 Thirty-two drivers are on the entry list for this weekend’s race, matching the number of spots on the starting grid. Qualifying for the Lucas Oil 150 is scheduled for 5:35 p.m. ET Friday, with the race to follow at 8:30 p.m. Both may be seen on FOX Sports 1.